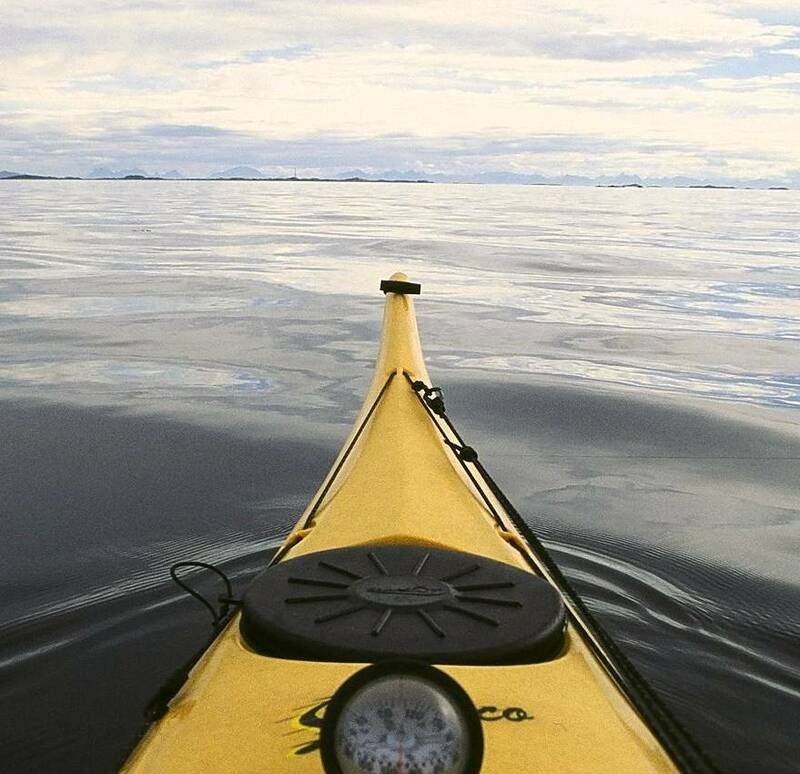 Saturday, meet your guide and support personal at Kayak More Tomorrow’s Meet & Greet, 17:00 (5:00 pm) at the Scandic Havet hotel in Bodø. A presentation of the week a head, what to expect in terms of weather, paddling conditions, route description, a complete day by day break down of the trip with tide calculations and morning departure times, overview of our accommodation and a meal outline, as well as a brief description of the cultural visits and points of interest; as well any changes in the program, route, etc. that were deemed necessary. 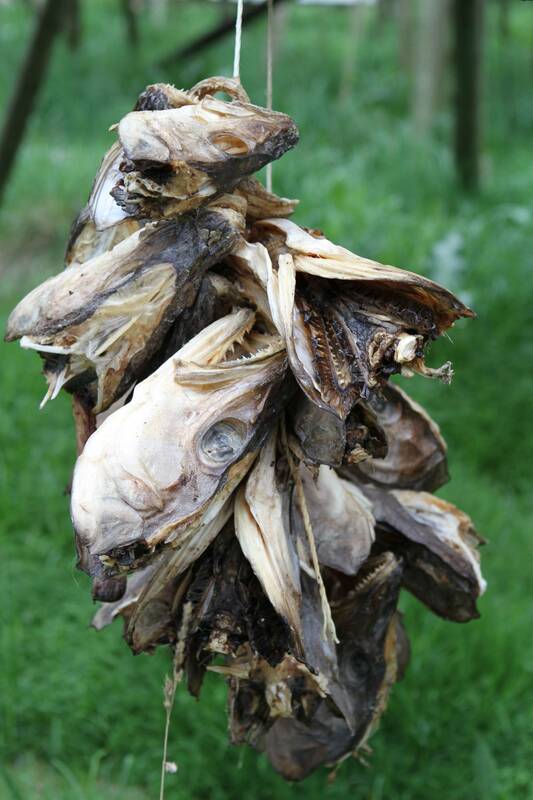 Refreshments and a light supper will be served. At 09:30, you will meet your guide in the lobby of the Scandic Havet; once everyone is ready we embark on the short walk through the centre of town to the ferry terminal. The ferry departs at 11:00, Sunday morning. Upon arrival in Moskenes our support personal will be waiting to transport you to Reine, where we check in to our Rorbu; there is time to relax and settle in and enjoy a light lunch before our excursion to Å. In Å, a guided tour of the Lofoten Fishing Village museum gives us an in-depth presentation on the history and life of the Lofoten and sets the stage for a glorious week exploring these Iconic Islands. We return to Reine for pre-supper cocktails and a delicious fish supper. After getting into our padding gear we launch from the town pier. The towering peaks of Reine fjord beckon us as we venture out of the harbour and into the fjord. 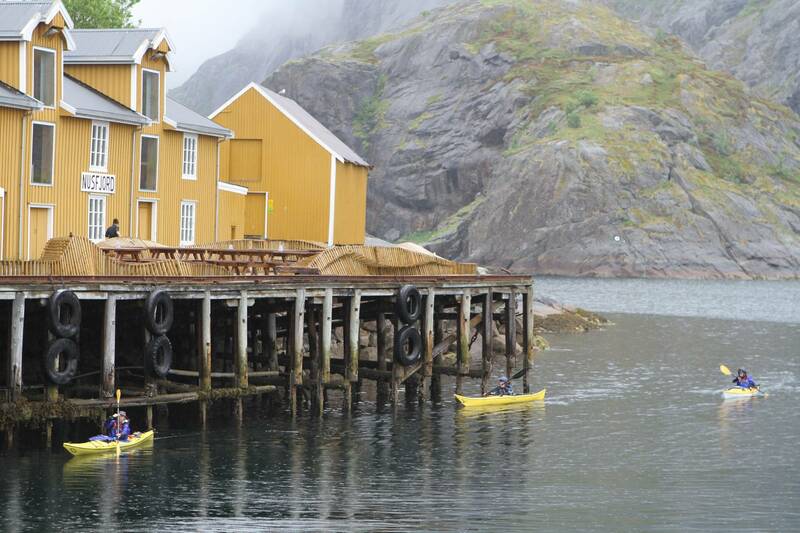 Today’s paddle in Reine fjord will include a comprehensive introduction to sea kayak touring. Kayaking amongst the jagged peaks of Reinefjord we paddle into Bunesfjord, one of the three arms of Reinefjord. 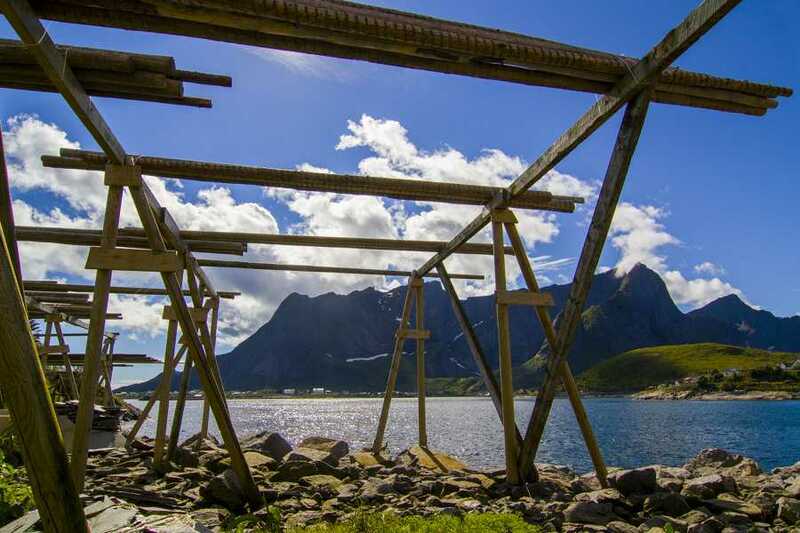 Here we’ll hike up to a view of the North Atlantic and try to picture life as it had once been in one of the earliest settlements in the Lofoten Islands. Our lunch spot is located on a rise between vertical rock walls of the Moskenes Tetons. After returning to Reine; dining and a relaxing evening, prepare us for tomorrow; as our Lofoten journey begins in earnest. Leaving Reine we paddle along the steep rocky walls of the Moskenes Tetons to the Sund Sound; a narrow river like channel separating Moskenes Island from Flakstad Island. We time our arrival at the mouth of the sound with the slack in the current. 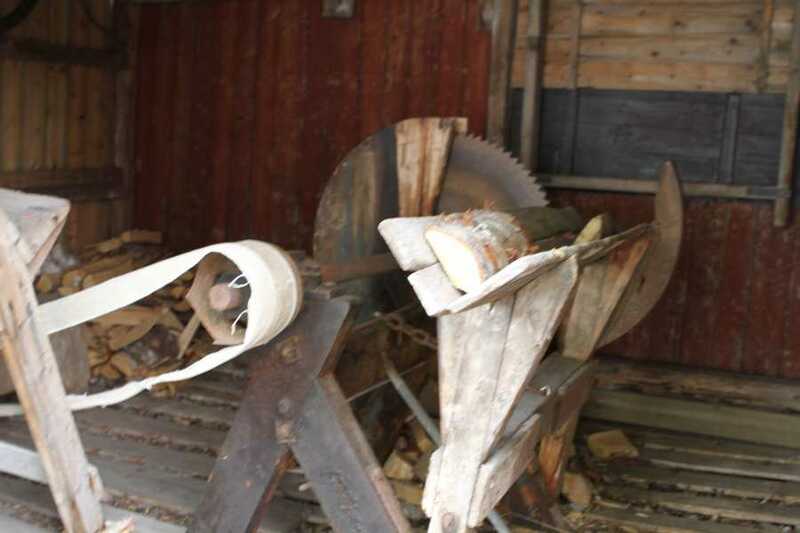 In Sund we tour the Blacksmith’s museum and witness his artistry as he creates birds of steel. We refuel with a picnic lunch before returning to our kayaks for an afternoon paddle to Nusfjord. We paddle around the northern tip of Kunna Island and then cross the mouth of Skjelfjord for a close-up encounter with the majestic rock faces of Flakstad Island. 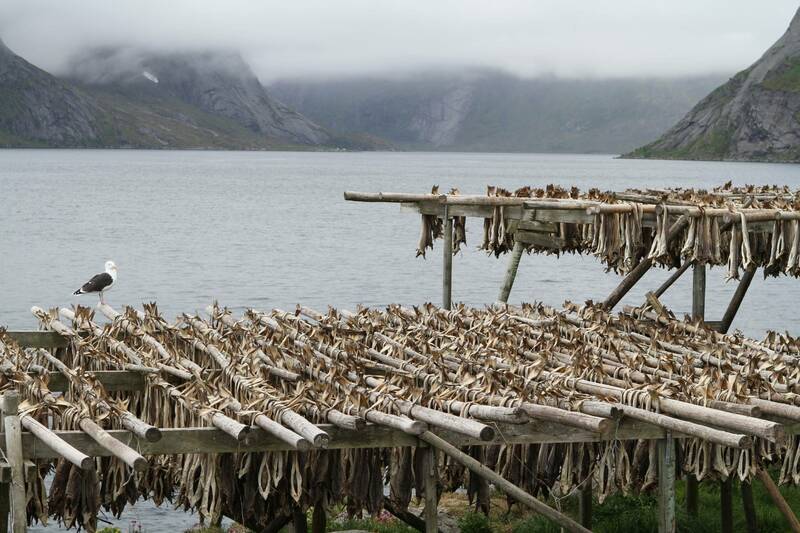 Making our way to the hidden mouth of Nusfjord, we try our luck at fishing as we approach this hidden fjord. The entrance to this “tucked away” fjord opens, and we paddle into the natural harbour of Nusfjord. The village is protected under the UNESCO world heritage act and has been beautifully restored to its former glory. Relaxing on the wharf, sipping a cold beer and listening to the sounds of the bird rock, we recount the days’ journey. The Napp sound is one of Lofoten’s most revered water ways with a tidal current that flows at 5 knots. It separates Flakstad Island from Vestvåg Island (Lofoten’s largest island). Departing Nusfjord early is essential as our best chance to make this open crossing is on the first tidal slack of the day. With 24 hours of daylight we are able to depart Nusfjord at any hour enabling us to cross when the conditions are favourable. 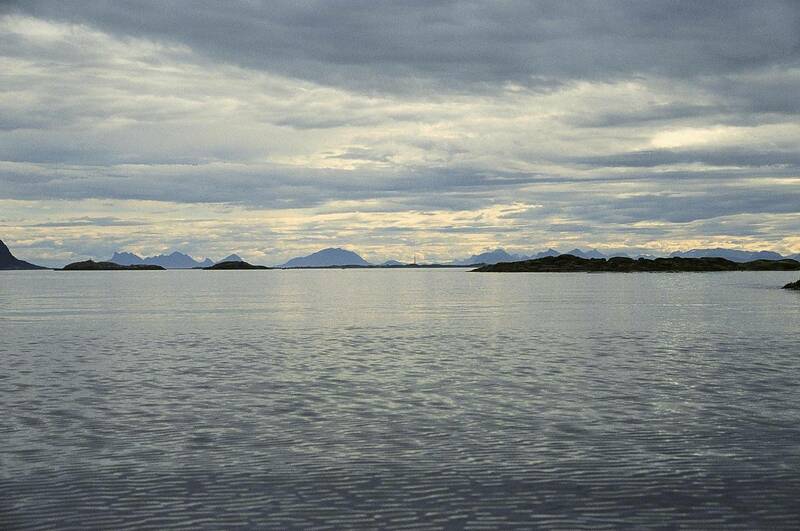 We paddle for 2.5 hours before landing on Vestvåg Island. Having successfully crossed the Napp sound we arrive in Ballstad to refuel our bodies on a hot bervage and a light snack. Leaving Ballstad after our short break we cross over the mouth of Buksnesfjord. This crossing will take us about 30 min. to paddle. Once over we will explore the many small islands that lead us to the village of Stamsund where we pass by at low tide, so we can ride the rising tide into Rolvsfjord. 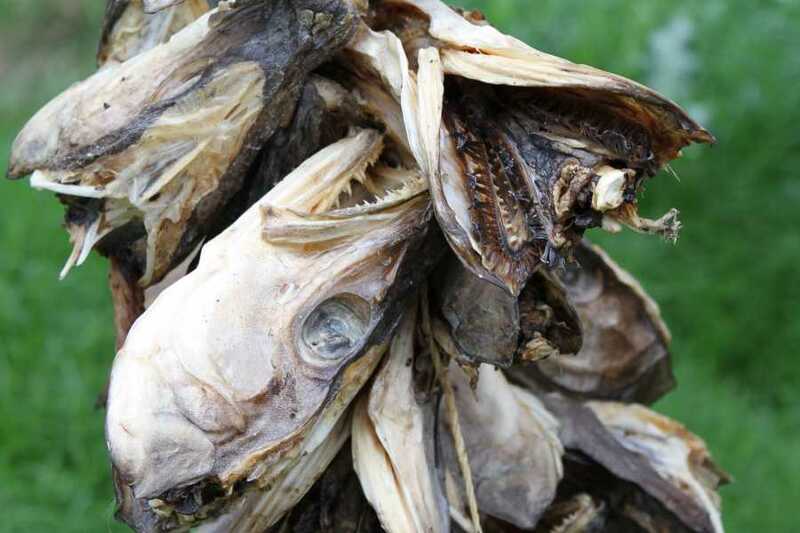 The last stretch into Rolvsfjord is a short cruise amongst islands and shallows; we look for sea eagles perched on the island tops and explore the sea life in the shallows. The tidal current pushes us deeper and deeper into Rolvsfjord. As we pass through the last narrows our rorbu’ beckons us and the mountains of Vestvåg Islands halt our paddling at the end of the fjord. After completing today’s challenging paddle, we arrive at Brustranda for a well-deserved rest. Recovering from yesterday’s epic paddle we enjoy a leisurely breakfast. Today, we will give our upper body a break and stretch our legs on the gentle hike over the mountains to Borg. We hike over the lush green slopes to the Viking Chieftain’s house and relive life in the 9th century on a guided tour of this reconstructed Viking residence. Our van is here to transport us back to Rolvsfjord for a sauna and tasty supper. Our departure today depends on the tide. We want to catch a ride on the out flowing current from Rolvsfjord and then cross Gimsøy sound on the afternoon slack. The Gimsøy sound separates Vestvåg Island from Austvåg Island. Austvåg Island means Eastern Bay Island and is the last island of the Lofoten chain. We begin the day cruising through the islands of Valberg where we will discover a beautiful white sand beach, the perfect lunch spot. Our lunch break is timed with the approaching slack in Gimsøy sound. This is our last major crossing of our journey through Lofoten Islands. The route across will depend on the weather and sea state. Henningsvær seems to grow out of the sea as we approach. Sculpted rock peaks provide the perfect backdrop for this island village as we paddle down main- street Henningsvær we marvel at the splendour of this majestic town. 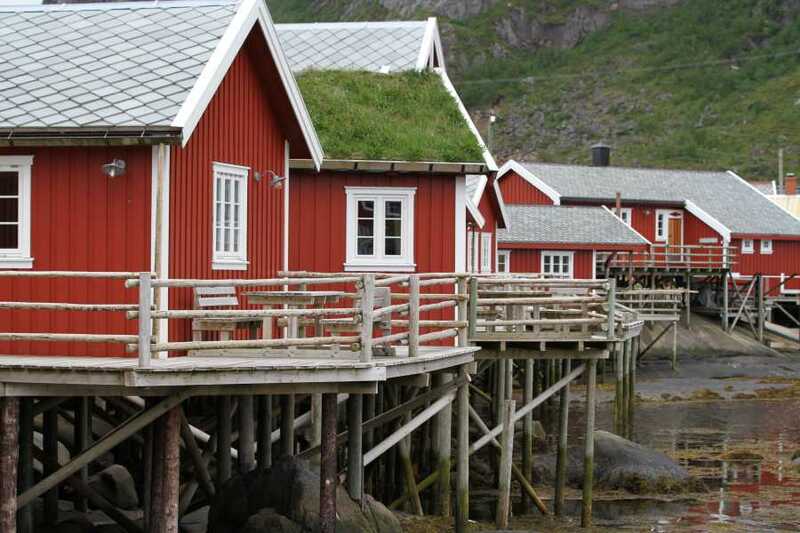 The hamlet of Henningsvær is a true fishing village that hosts the Lofoten Island’s climbing community. Every summer rock climbers from all over the world descend on Henningsvær to climb the granite walls of the Lofoten Mountains. We spend the evening exploring this charming village and take in the vibrant night life of the Klatre Kafé - Rock Climbers Cafe. Breakfast comes early after our evening out. We say goodbye to Henningsvær, launching onto ‘main street’ Henningsvær, we point our kayaks towards Vågakallen, a famous Lofoten landmark; where rookie Lofoten fishermen had to pay their respects to the Lofoten by removing their hats when passing by for the first time. We paddle past the granite walls of Lofoten’ s climbing mecca, cuising in amongst clusters of islands, in search of the Fisherman’s Wife, who will lead us into Svolvær’s famous harbour. 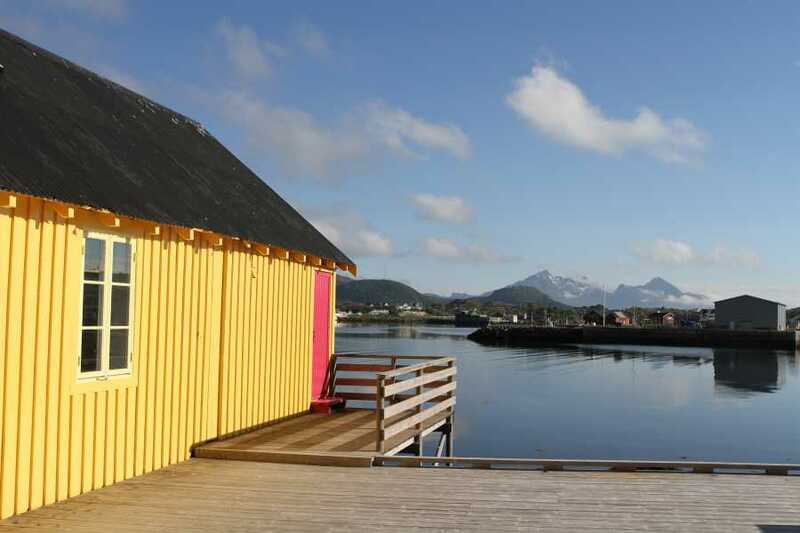 Today there is time to explore Svolvær on your own before enjoying a festive supper, our last on the islands. After breakfast we set out to explore Trollfjord, a historic little fjord that hosted the famous ‘battle of Trollfjord’ defining the machine-age on Norway’s coastal fishing fleet. Depending on the weather, sea conditions and our energy level we may paddle from Svolvær to Trollfjord or we might load up our sea kayaks for the short drive to a closer launching point on Raft Sound. Returning to Svolvær in time to catch the afternoon passenger ferry back to Bodø. We arrive in town early evening and for those staying in Bodø for the night a no host supper can be arranged at one of the towns restaurants. These impressively scenic islands form an archipelago one hundred miles north of the Arctic Circle. It is a place of mystical landscapes illuminated by nearly continuous daylight. Glacially-carved, shear granite spires rise out of a sea made rich by the meeting of the warm Gulf Stream and the Arctic Ocean. The Islands are fringed with green pastureland and dotted with picturesque fishing villages each with its own unique character and dramatic mountain backdrop. 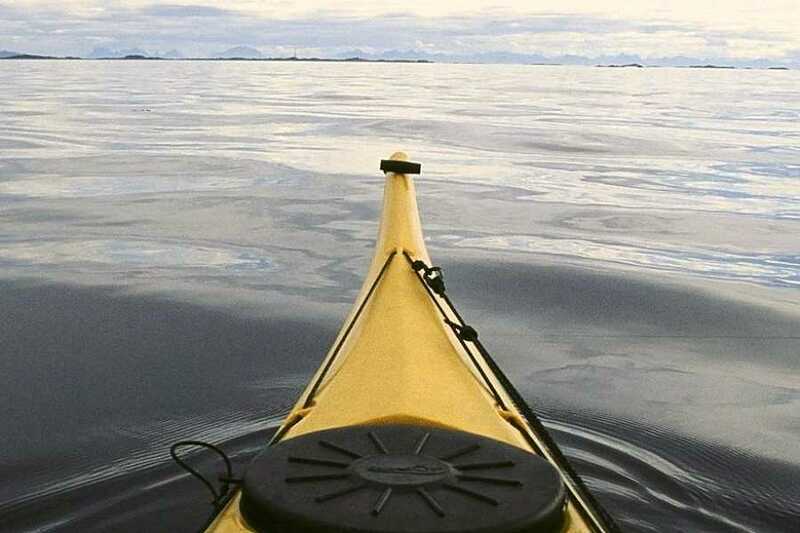 This is a true Arctic sea kayaking adventure with the advantage of finishing every day with a hot shower and a warm bed. You’ll kayak the length of this remarkable chain of islands through indigo-blue fjords cutting between jagged peaks, stopping at white sand beaches and hiking to viewpoints for incredible panoramic vistas. At the end of each paddling day you’ll stay in “rorbus”, traditional fishermen’s lodges with time to explore these charming villages and sample the local cuisine. Great kayaking, spectacular scenery and Norway’s seafaring culture make the Lofoten Islands one of the world’s great paddling trips.